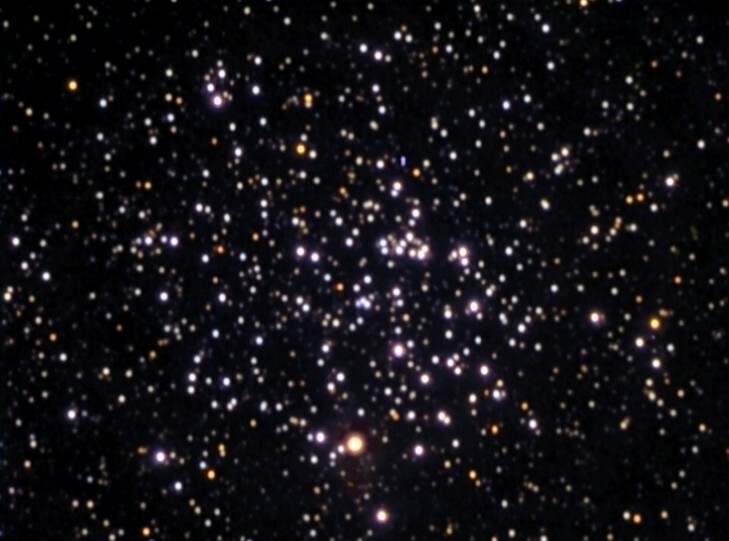 This rich open star cluster in Cassiopeia was discovered by Messier on Sept. 7, 1774. Located more than 3,000 ly away, it measures over 10 ly across and cosists of some 200 stars. 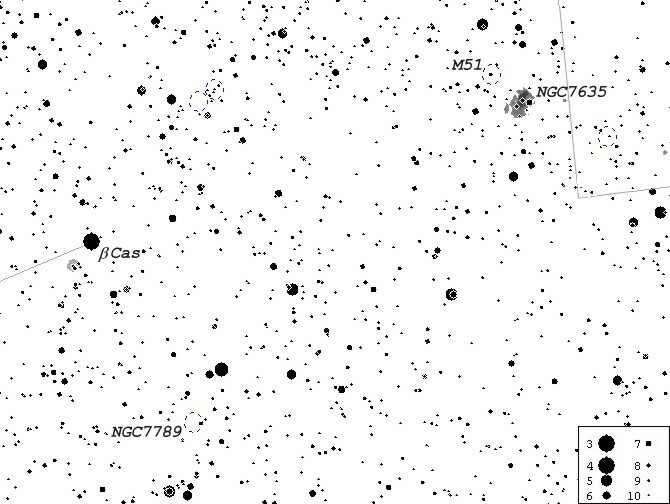 It is visible in binoculars about 6° NWW of b Cassiopeiae (follow the extension of the line from a Cassiopaiae to b Cassiopeiae - see finder chart below). The above image was taken on October 17, 1998 from Sooke, BC. Cookbook 245 LDC CCD camera was used on Celestron Ultima 8 f6.3 telescope autoguided with Cookbook 211 LDC CCD camera on a piggybacked 500mm f8 telephoto lens. 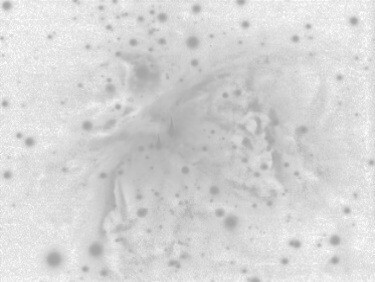 Final image is composed of white exposures (10 x 120 sec.) as well as cyan, magenta and yellow-filtered integrations (6 x 120 sec., 5 x 120 sec. and 6 x 120 sec., respectively) combined with AIP4WIN and further adjusted in Lab color space using Corel PhotoPaint 8.